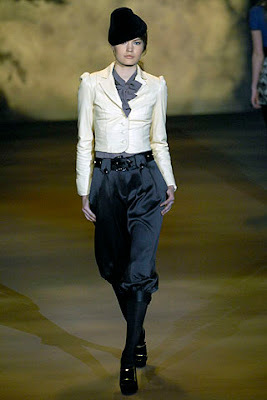 I noticed Brit designer chicks are fascinated with Little Lord Fauntleroy pants. Maybe because they grew up reading about the classic storybook character? 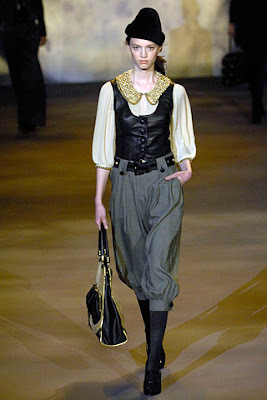 I first saw this style in Biba's S/S '07 collection, now Alice Temperley's got plenty of these pants going down her runway. Not that I'm complaining! Because I am inexplicably DRAWN!! !